This scanner has been discontinued. Please checking out our Buying Guides for current bestsellers. 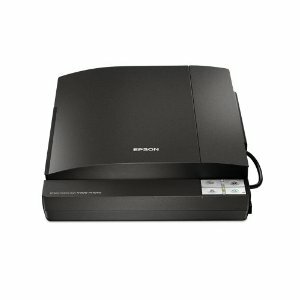 The Epson Perfection V300 is one of the more popular photo scanners on the market today, even though it lacks some features of the other top photo scanners. But what the V300 has going for it is the quality of an Epson scanner for under $100. 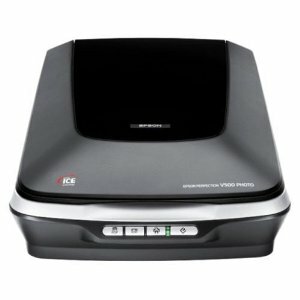 If you can live with great over superb quality in order to save money, then the Epson V300 may just be the scanner for you. 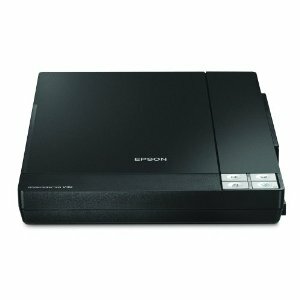 Like all good photo scanners, the Epson Perfection V300 lets you scan photos, artwork and documents without sacrificing quality. The 4800 dpi optical resolution does a nice job of maintaining detail, even as you enlarge images (up to 13×19 from film). 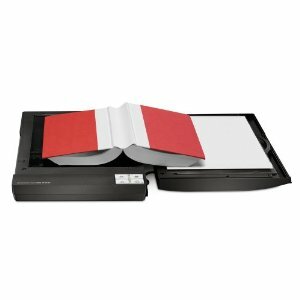 This scanner also includes a high-rise lid, making it easy to scan 3D objects or scan pages out of an old book or scrapbook. Even though this photo scanner can easily enhance and reproduce brand new photos, it’s with handling old photos, film and slides that this scanner really shines. The V300 can scan up to 4 slides or 6 35mm film negative slides at once, eliminating the need to pay for reprints. The built-in photo restoration capabilities cancel out red eye and washout, and the “Advanced Digital Dust Correction” feature helps to clean up faded old pictures. If you’ve got a box of old photographs laying around, this is the perfect scanner to bring them all into the 21st century. Another great thing about the Epson Perfection V300 is that it’s easy to use. No more waiting for your scanner to boot up, thanks to the LED technology used to power its light source. There’s also no need to navigate a bunch of controls to fix up your photos, since features like the Easy Photo Fix for restoration only take one touch. Although the Epson Perfection V300 is a quality home photo scanner, there are still some drawbacks to keep in mind. 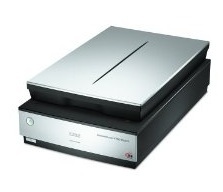 First, this isn’t your average slimline photo scanner. Since the V300 is designed to scan 3D objects instead of just flat photos and slides, it’s a little bulkier than some other scanners. This isn’t really a big deal, so long as you’re willing to make a little extra room on your desk. It’s also worth noting that this isn’t considered a professional-level photo scanner. If you do photography or design professionally, you might want to look into something a little more high-end such as the Epson V600. All in all, the Epson Perfection V300 is a great little photo scanner, especially for the price. There are other photo scanners by Epson and Canon which will provide higher resolution scans, but they also come at a higher cost. But don’t choose the V300 because it’s cheaper, make sure it will suit your needs as far as image quality.